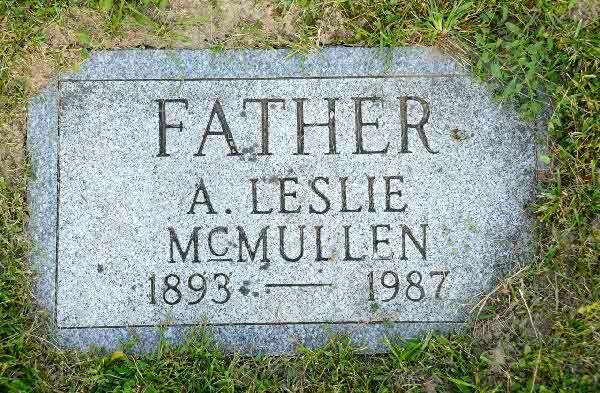 Death* Lawrence McLeod died in 1956 in Tobermory, Bruce County, Ontario, Canada; Tobermory: Lawrence McLeod died Thursday morning at his home here after suffering a heart attack. 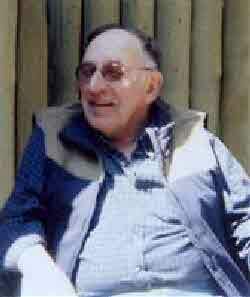 His death was unexpected and came as a shock to his wife and only daughter, Kelly, who survive. 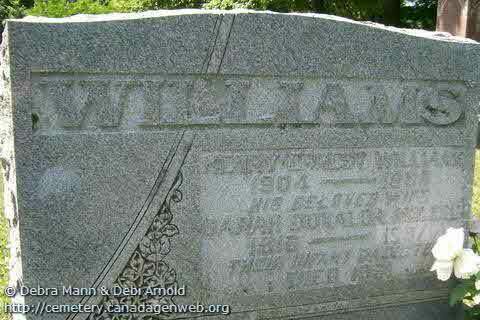 One brother, Gordon, of Detroit and five sisters also survive. 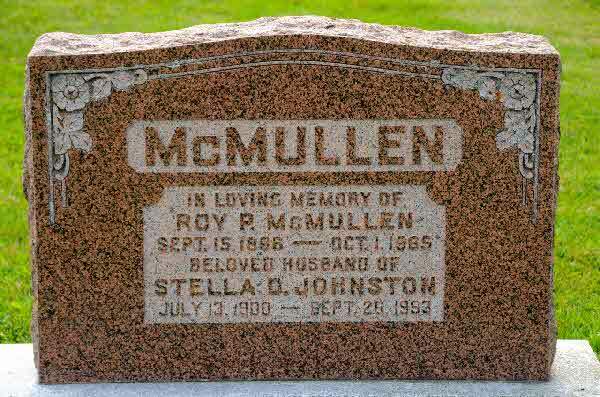 The sisters are Millie, Mrs. LorneVan Wyck of Toronto, Beatrice, Mrs. Ernest Tuckwood of Owen Sound, Elena, Mrs. R. M. Robbins of Cannington, Elizabeth, Mrs. James Rae, and Helen, Mrs. John Edmonstone, both of Tobermory. 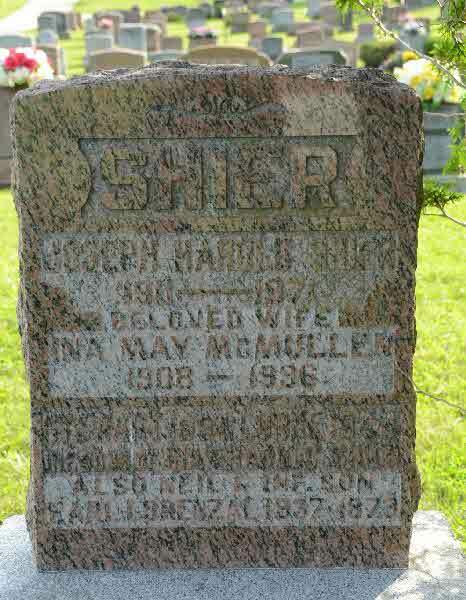 Address* Sarah DONALDA McLeod lived at Priceville/McNeil Cemetery, Artemesia Twp., Grey County, Ontario, Canada. 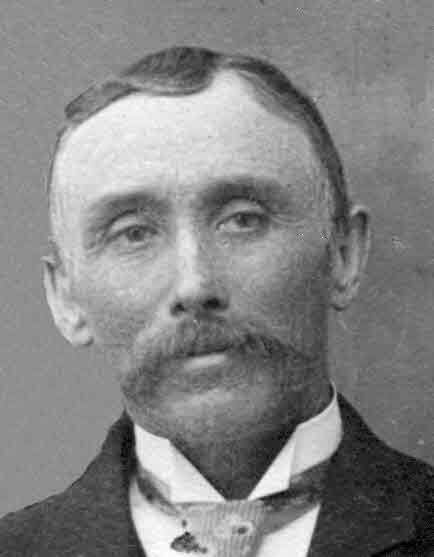 Marriage* Rev. 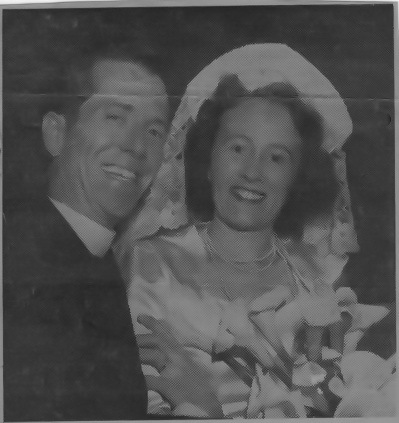 Maurice Raymond McLuhan married Bryda Rae King, daughter of William Edward Niblock King and Effie Elizabeth Miller, on 6 September 1943. 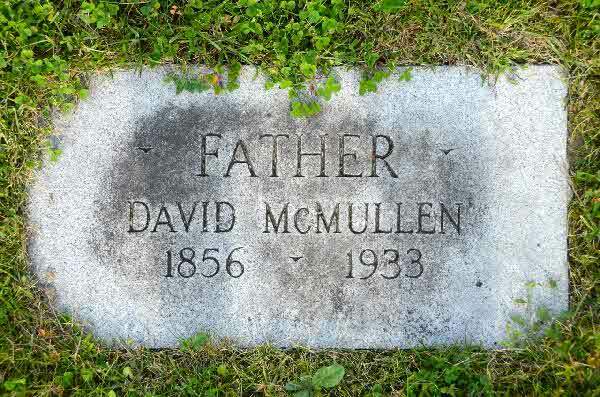 Burial* He was buried in Durham, Ontario, Canada. 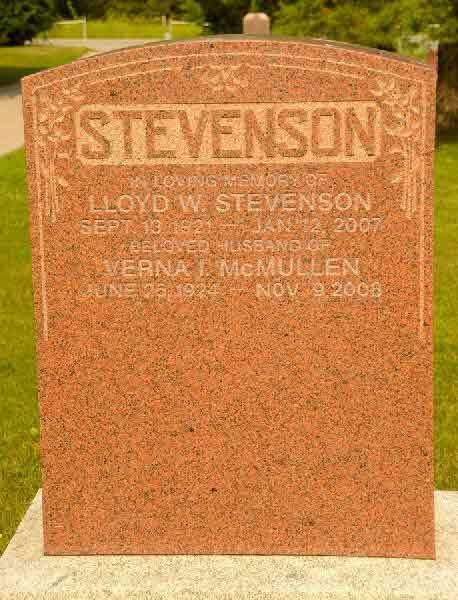 Burial* She was buried on 12 November 2008 in St. John Cemetery, Brock Twp., Ontario County, Ontario, Canada. 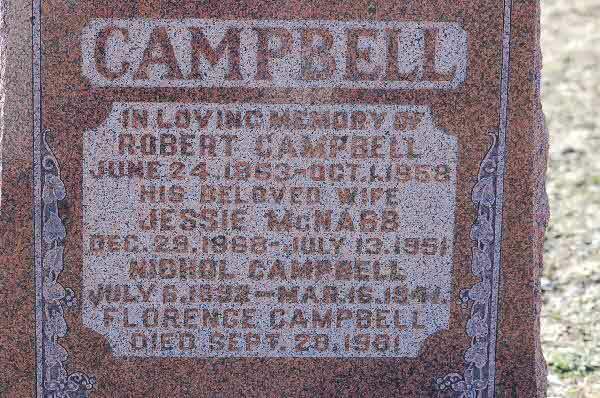 Marriage* Jessie McNabb married Robert Campbell, son of Nicol Campbell and Flora Carmichael, on 30 June 1891 in Lot 6, Conc A, Mara Twp, Brechin, Ontario County, Ontario, Canada. 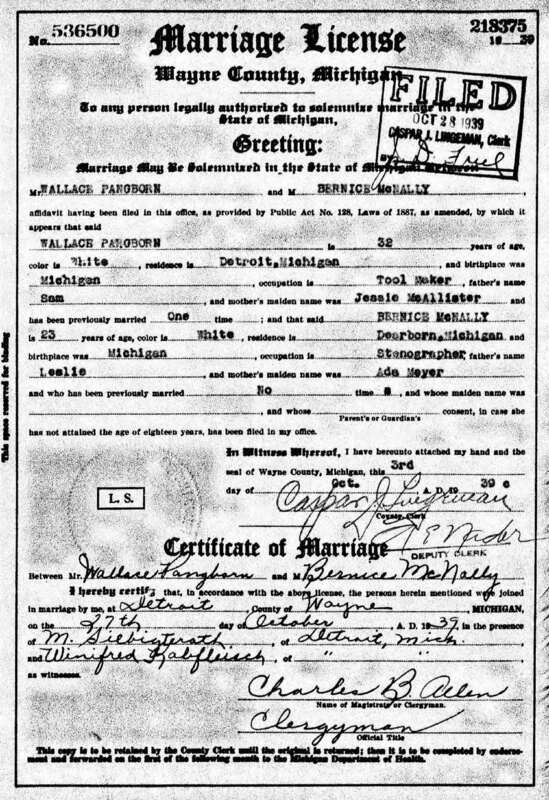 Marriage* She married Wallace Samuel Pangborn, son of Samuel Henry Pangborn and Jessie Ann McAllister, on 27 October 1939 in Detroit, Wayne County, Michigan, United States. 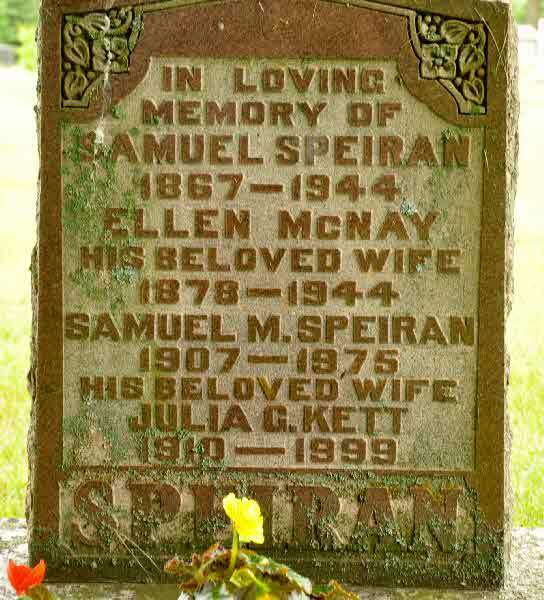 Marriage* Ellen McNay married Samuel Speiran, son of Charles Speiran and Sarah Carson Moore, on 7 February 1900 in Mitchell, Perth County, Ontario, Canada. 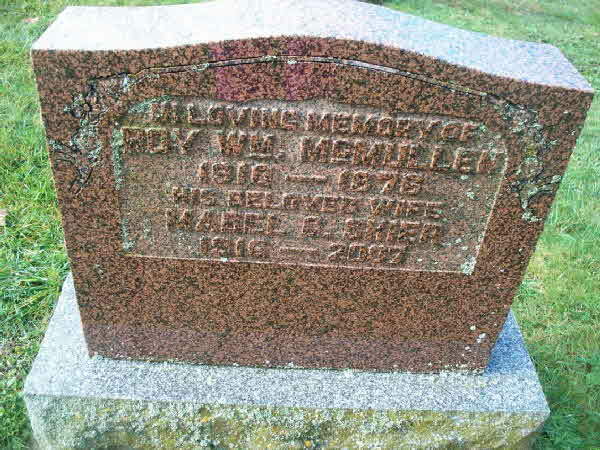 Death* Melva McPhaden died on 28 December 1924 in Brock Twp., Cannington, Ontario County, Ontario, Canada. 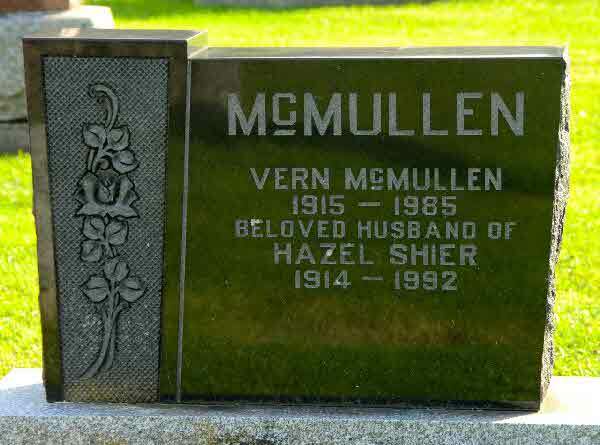 Burial* Melva McPhaden was buried in Cedar Vale Cemetery, Brock Twp., Cannington, Ontario County, Ontario, Canada. 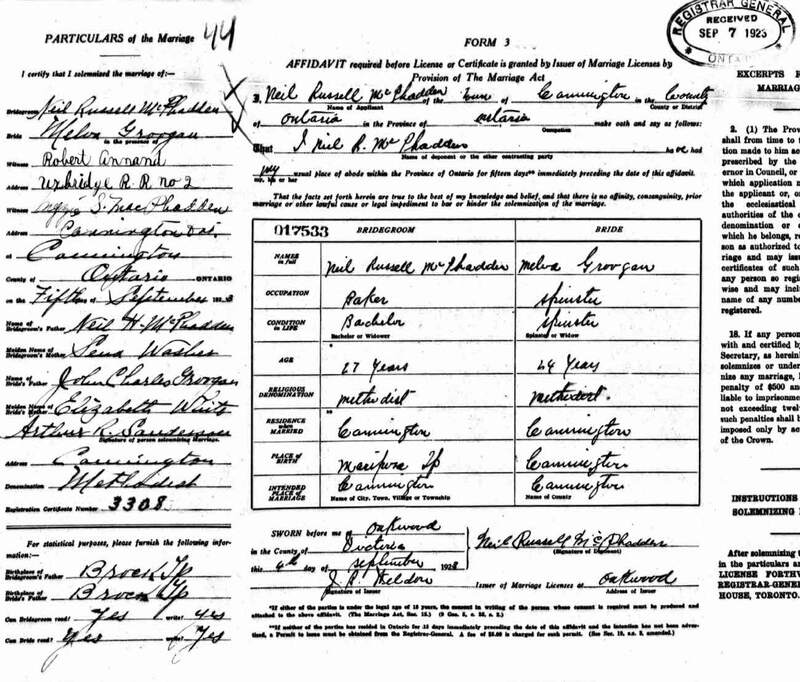 Marriage* He married Frances MELVA Groogan, daughter of John CHARLES Groogan and Elizabeth Annas White, on 15 September 1923 in Brock Twp., Cannington, Ontario County, Ontario, Canada.